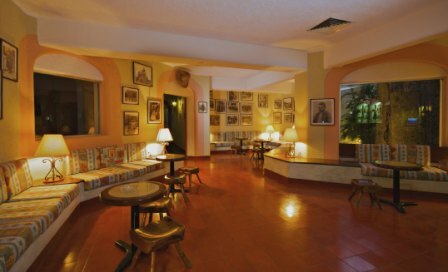 Surrounded by tropical gardens and showered with the song of exotic birds, this cozy boutique hotel offers a dreamlike environment and an oasis for weary guests after exploring the ancient Mayan city. A walk from the Villa to the ruins takes less than ten minutes and enables guests to take advantage of the cool mornings and explore the archaeological site before the majority of visitors arrive in the afternoon. In the evening, the same conveniently short walk will take you to the impressive light and sound show that is presented nightly at the site. 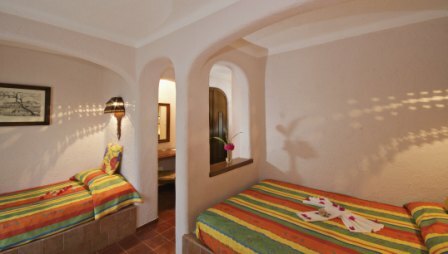 Each guestroom has brightly colored bed coverings, in a traditional Mexican style. 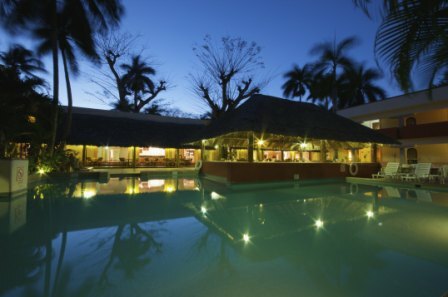 Veritable Mayan ruins dot the gardens of the hotel, providing a sense of authenticity that is impossible to duplicate. 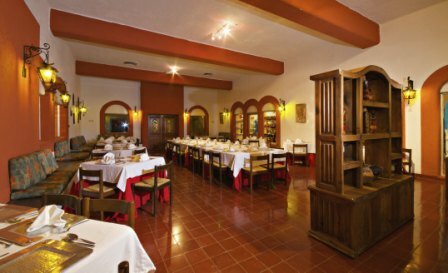 In Villa Chichén Itzá you will receive outstanding service and enjoy the most delicious regional cuisine. 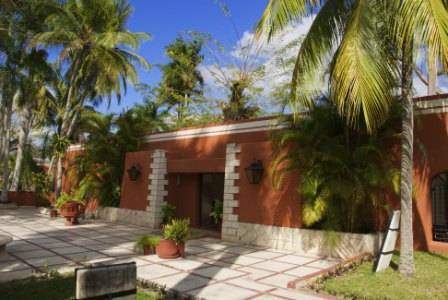 Villa Chichén-Itzá is situated at the rear entrance to the archaeological site, within a small enclave of three hotels. A walk from the Villa to the ruins takes less than ten minutes and enables guests to take advantage of the cool mornings and explore the archaeological site before the majority of visitors arrive in the afternoon. Temple of Sisal in Valladolid. 48 Hrs. before arrival date avoid penalty. 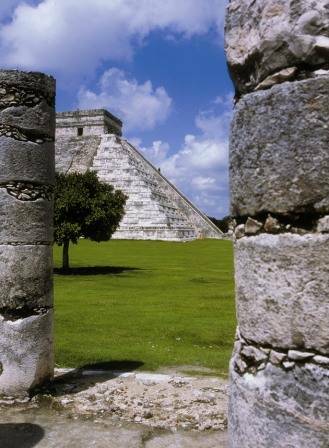 Great, smooth, sumptuous ... the adjectives often used to describe the archaeological site of Chichen Itza, located 78 miles east of Merida and 106 km from Cancún. The travel time of Merida along Highway 180 is about 1. 5 hours, while the travel time from Cancun along the excellent toll road D 180 is about 2 hours. Nearest airport: Aeropuerto Internacional Manuel Crecencio Rejón.